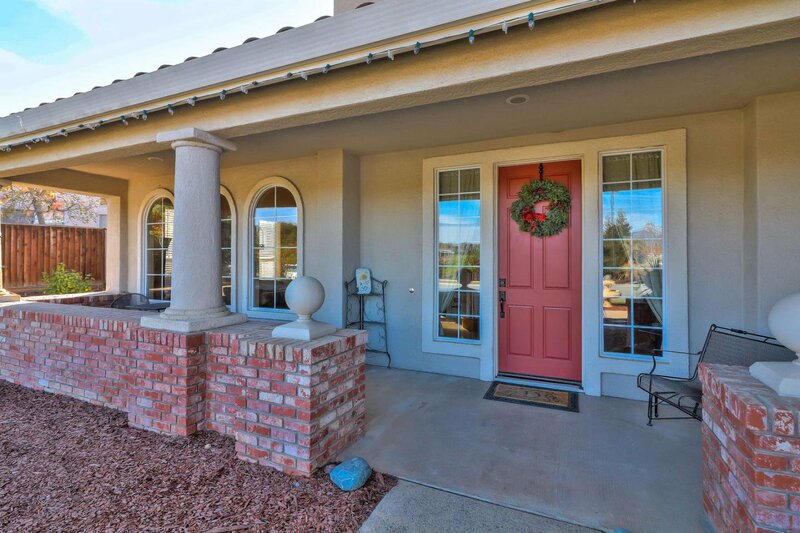 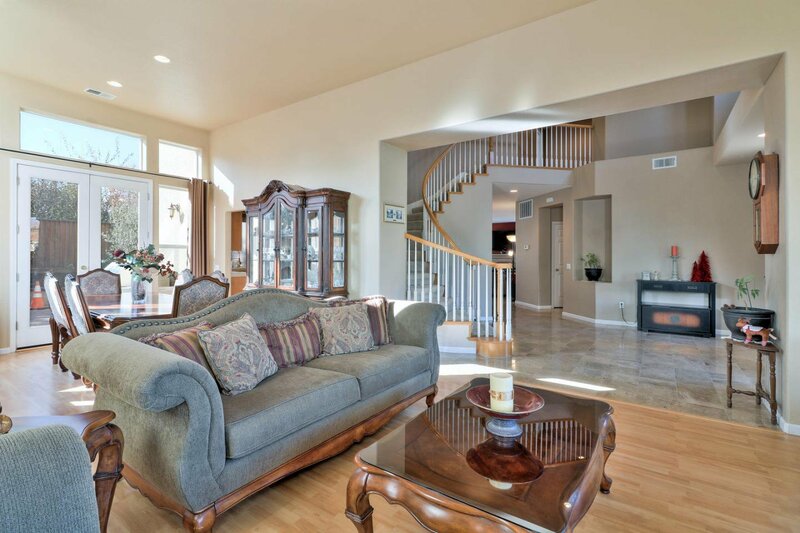 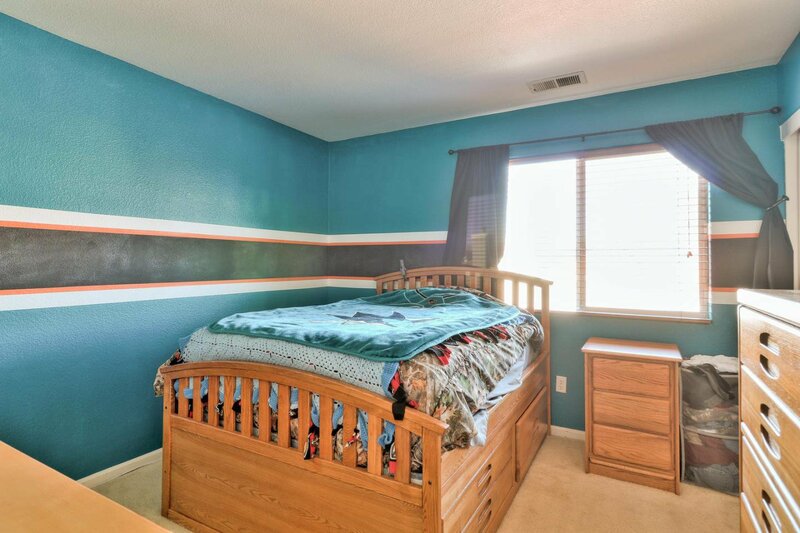 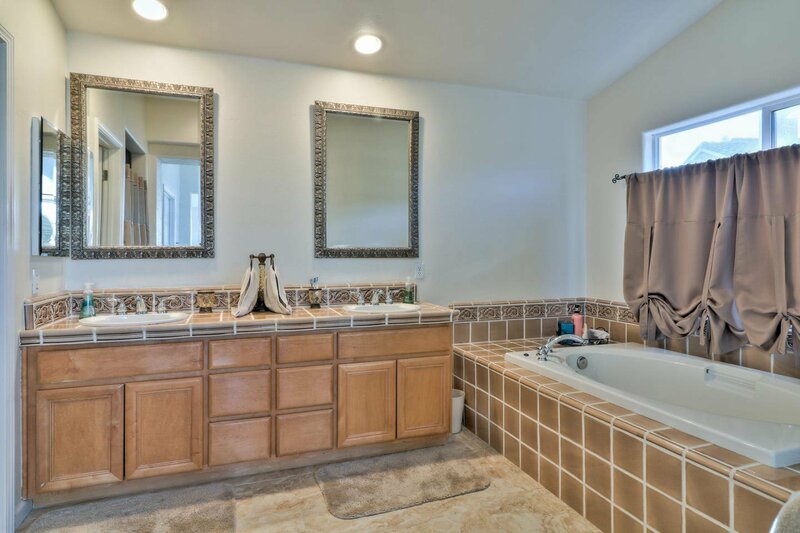 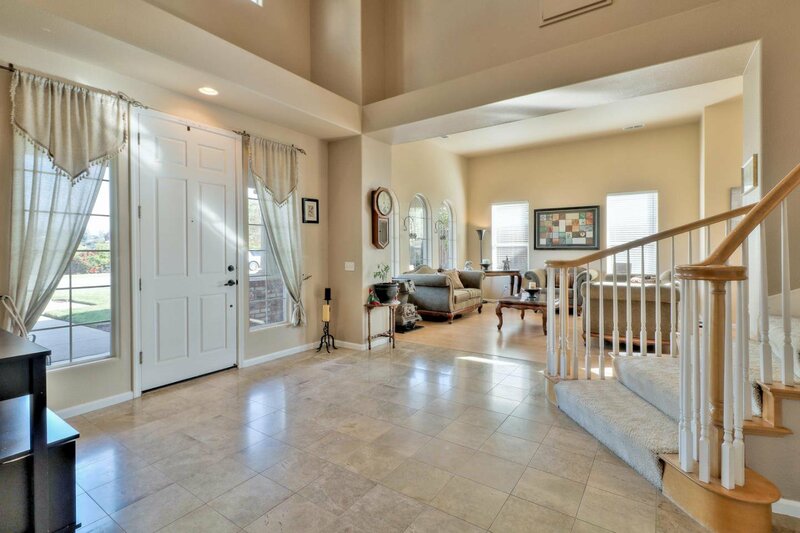 Former Model Home with tons of upgrades on a very large lot in the prestigious Quail Hollow subdivision with gorgeous views of the mountains and park. 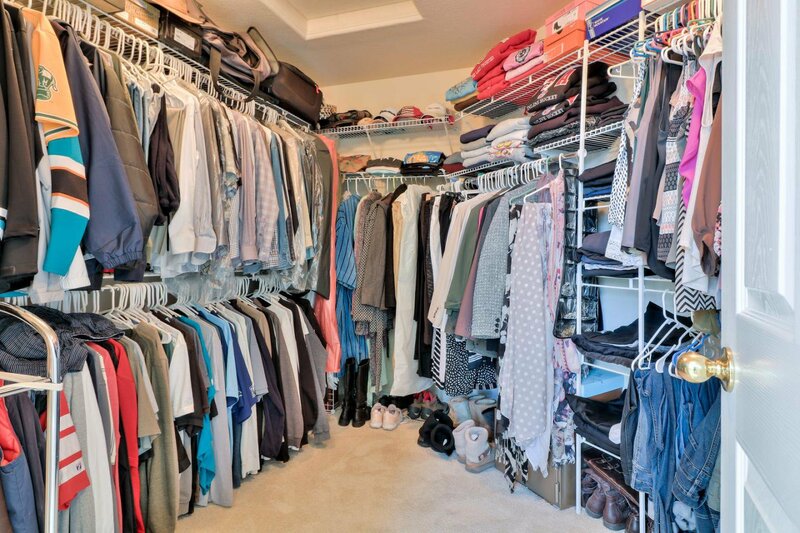 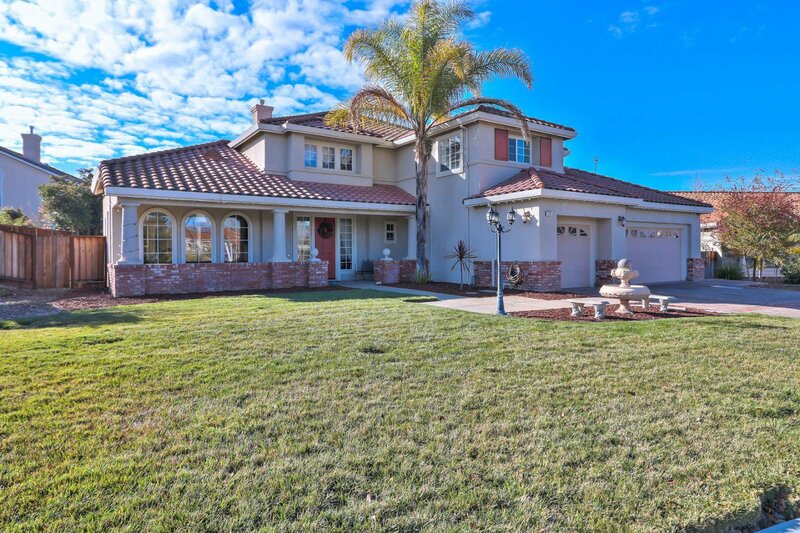 This home is approx. 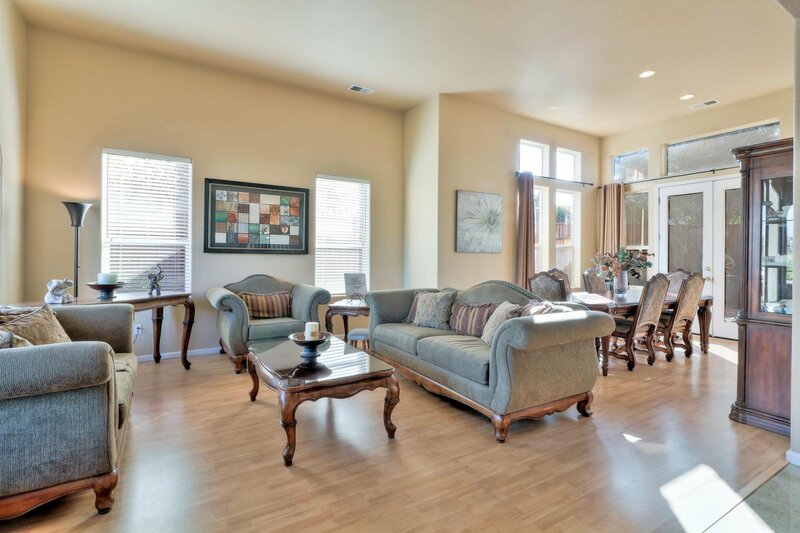 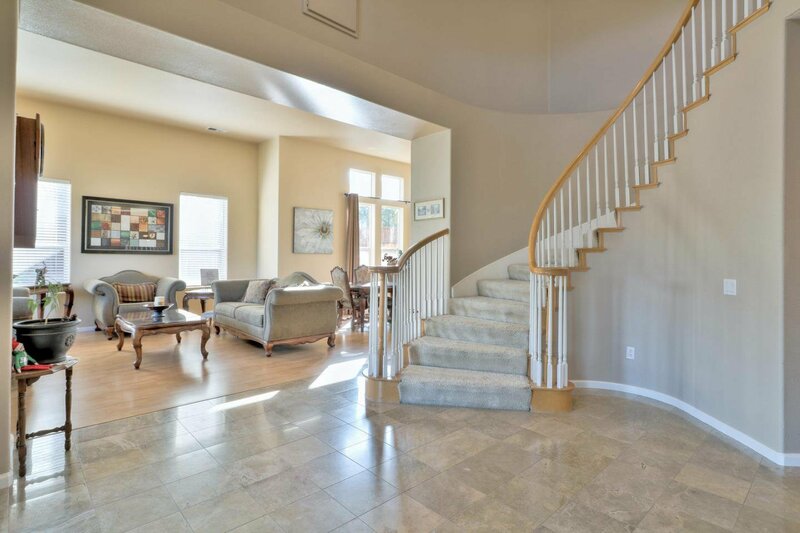 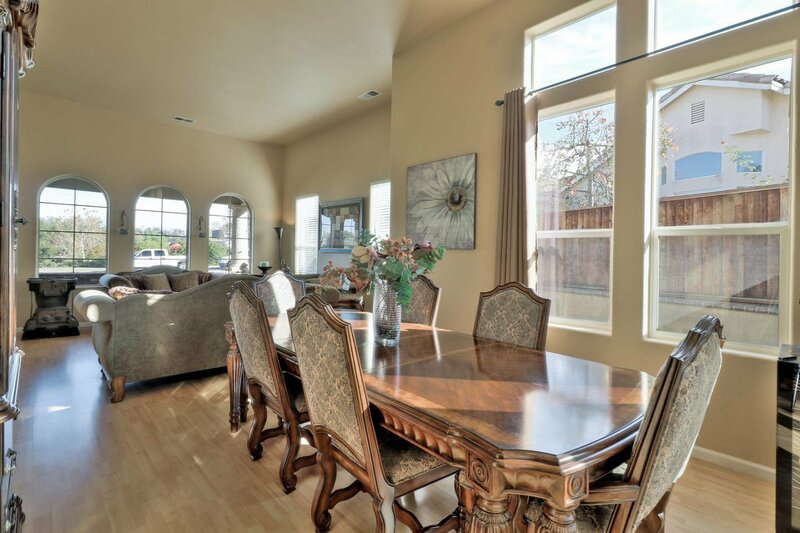 3250 sf with 5 bedrooms and 3.5 bathrooms. 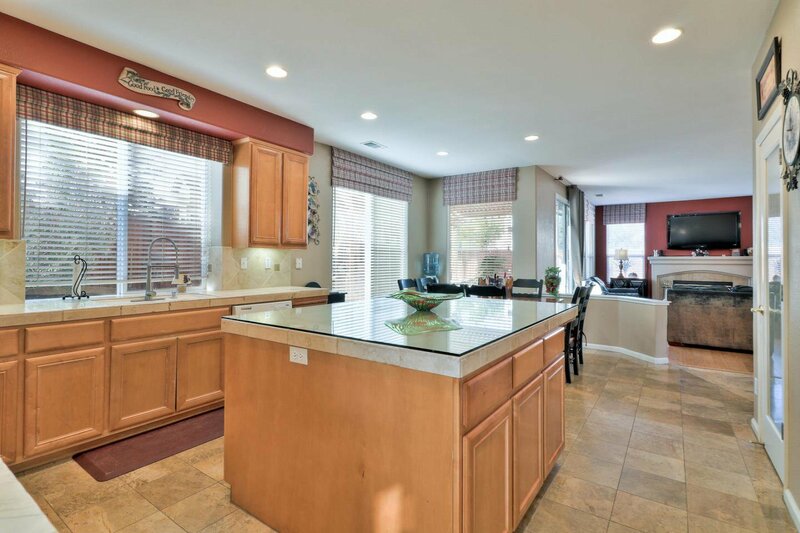 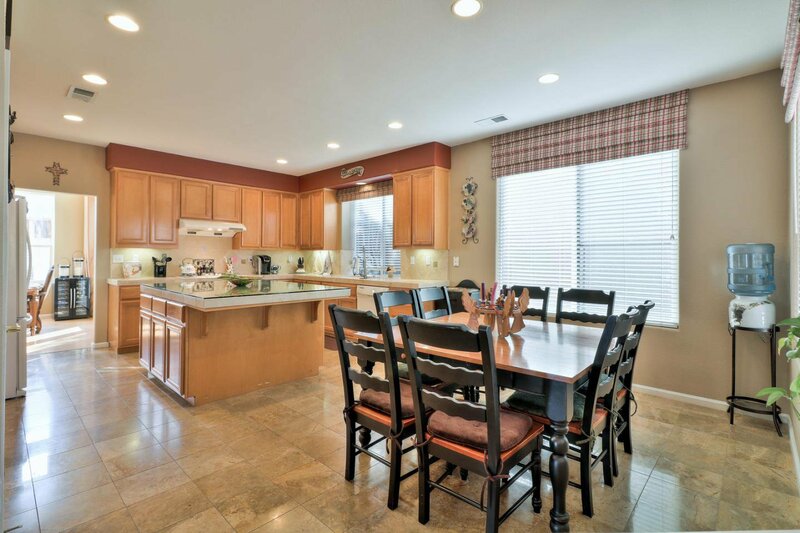 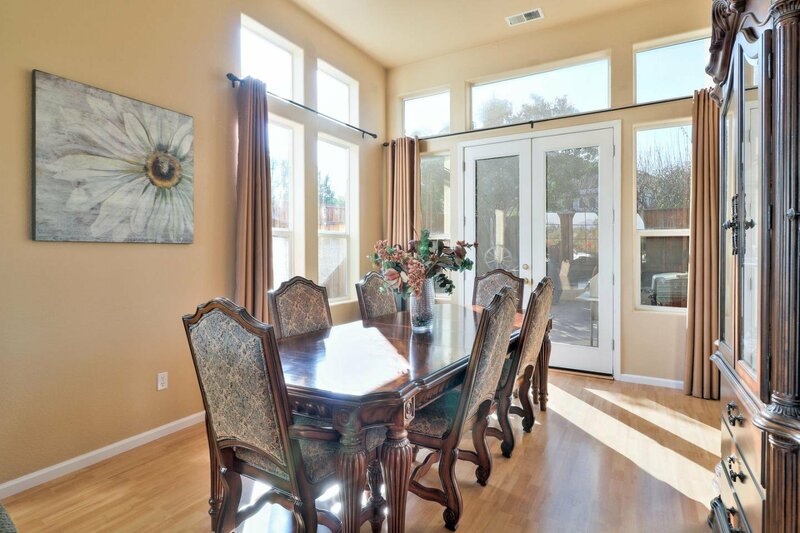 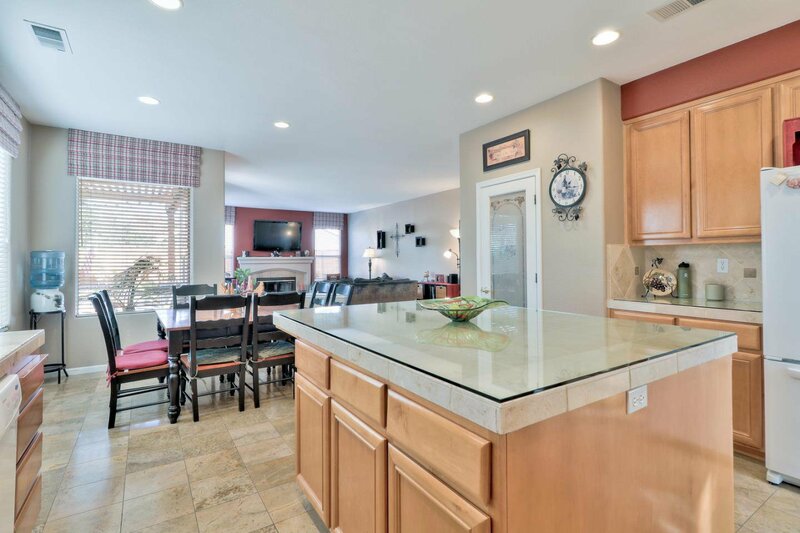 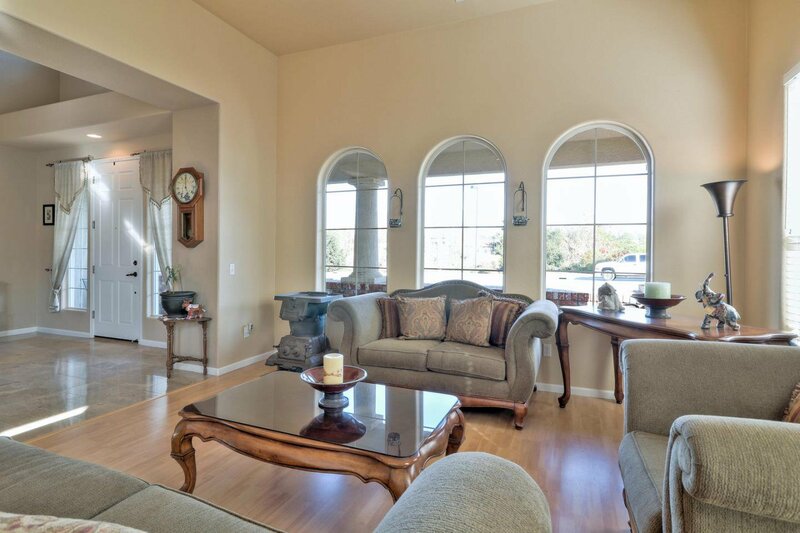 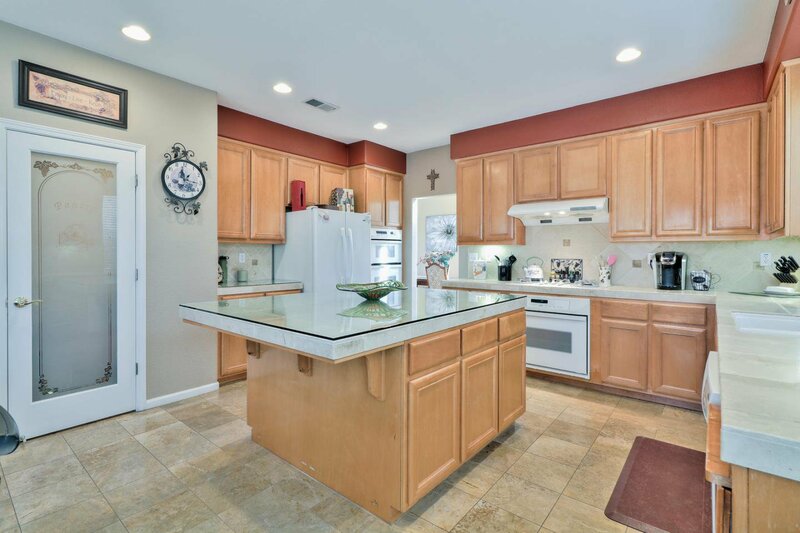 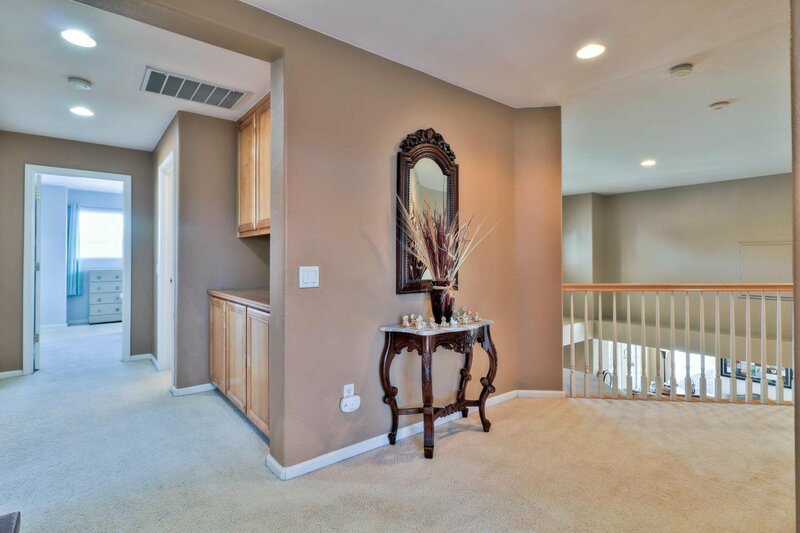 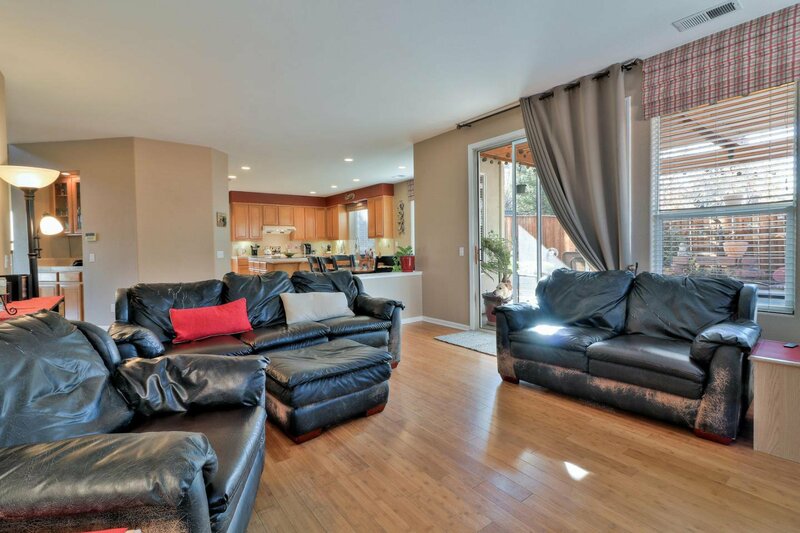 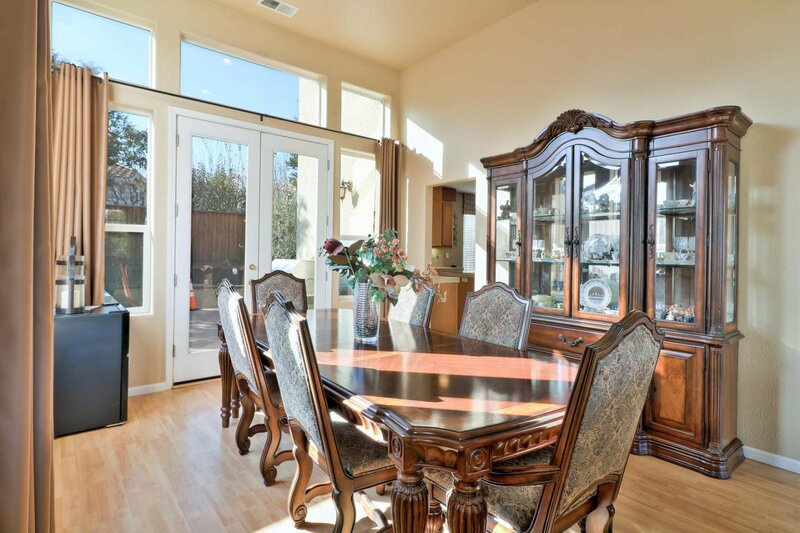 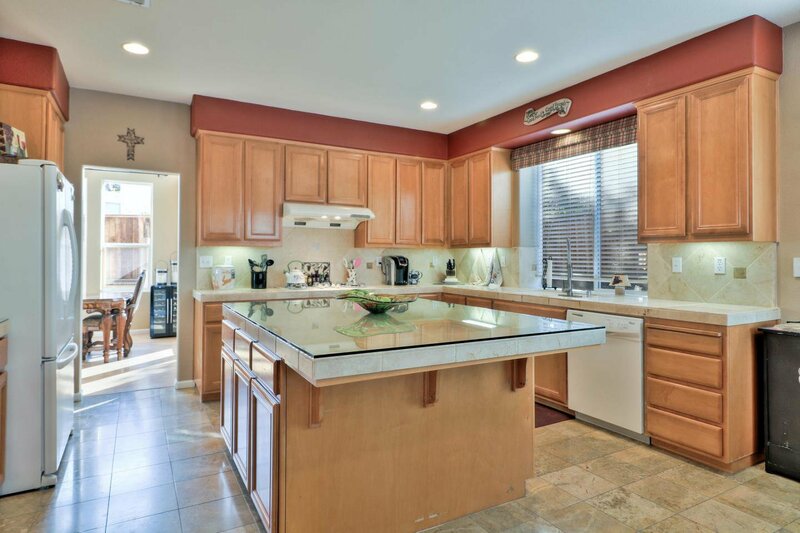 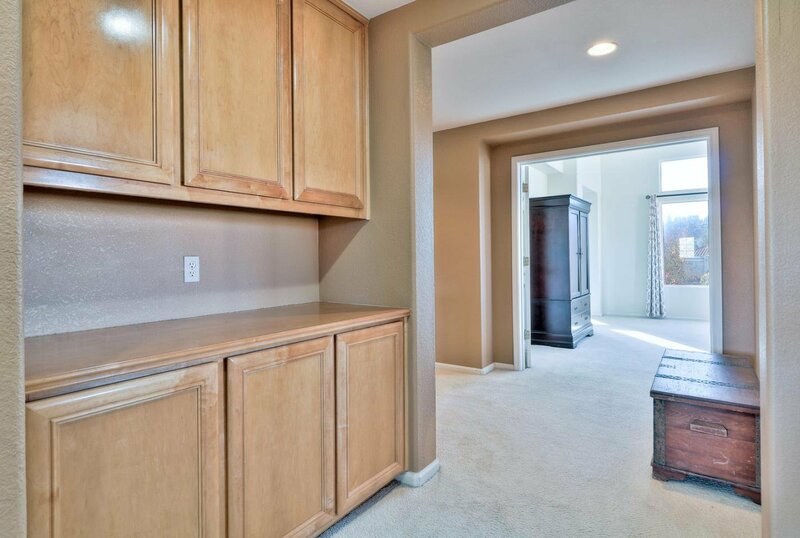 A wonderful kitchen with beautiful counters and cabinets opens up to a formal dining area just off the living room. 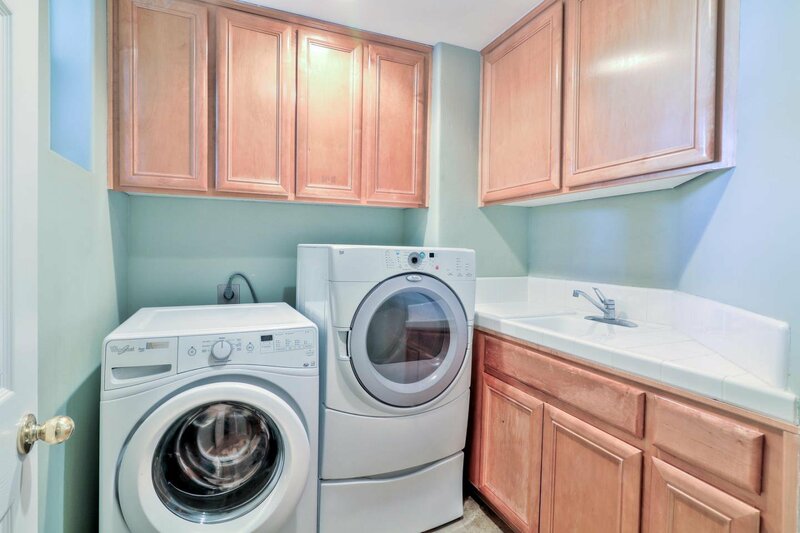 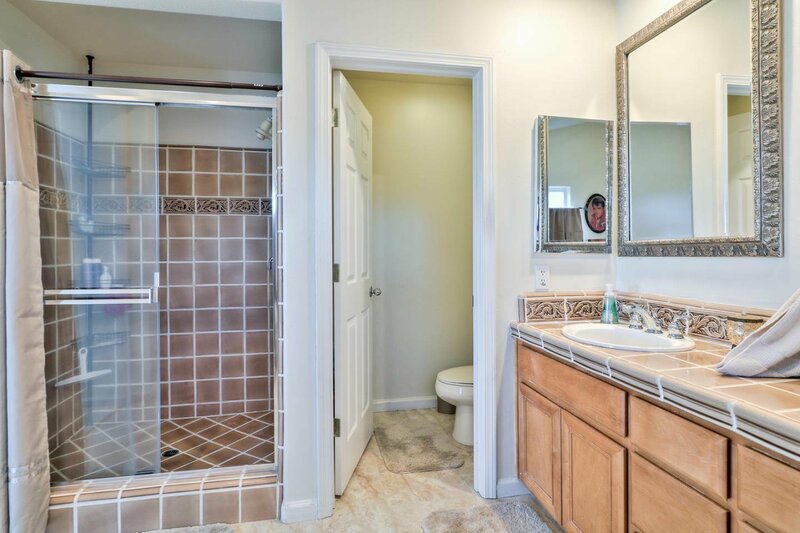 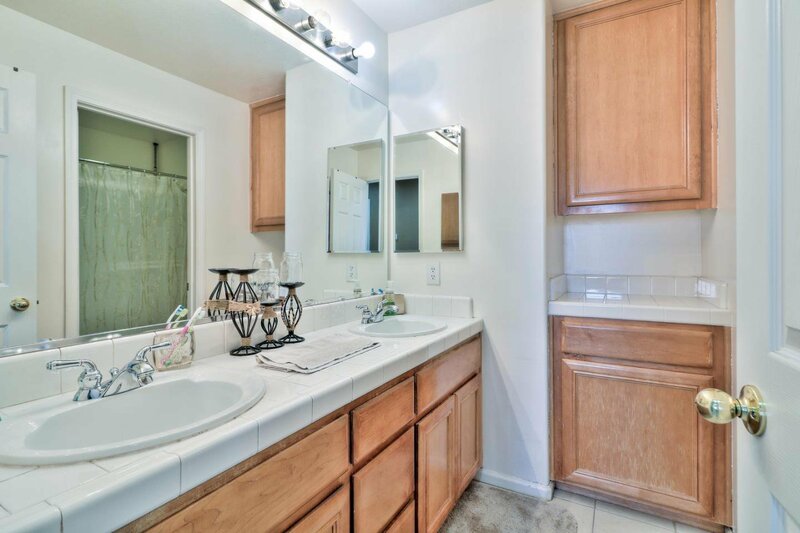 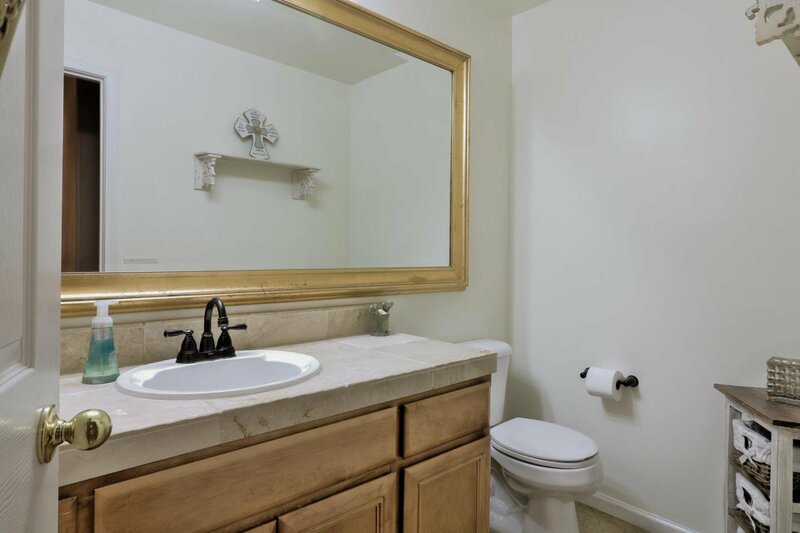 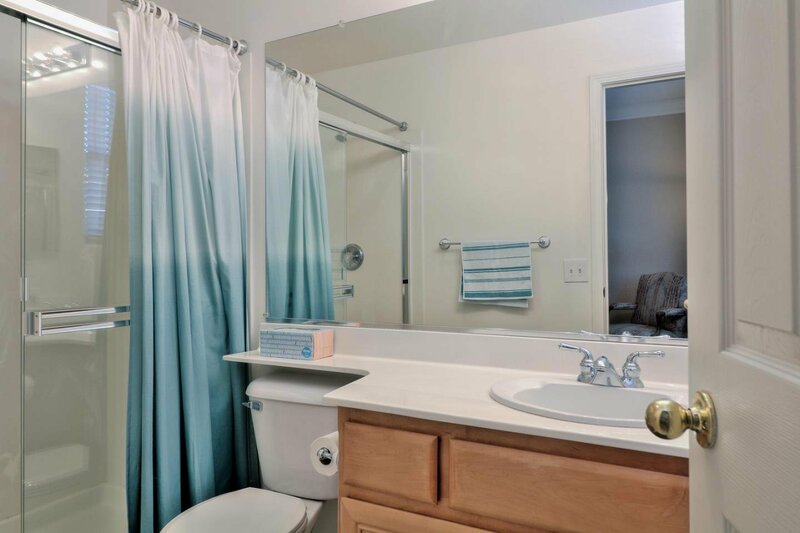 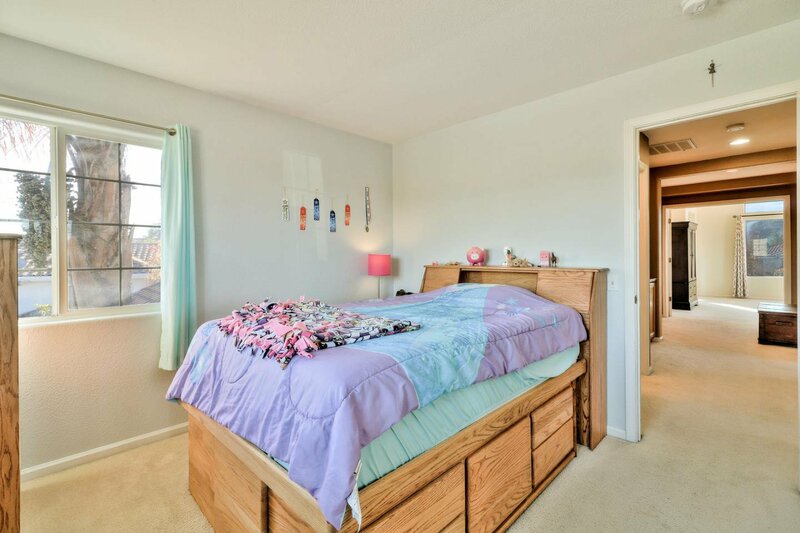 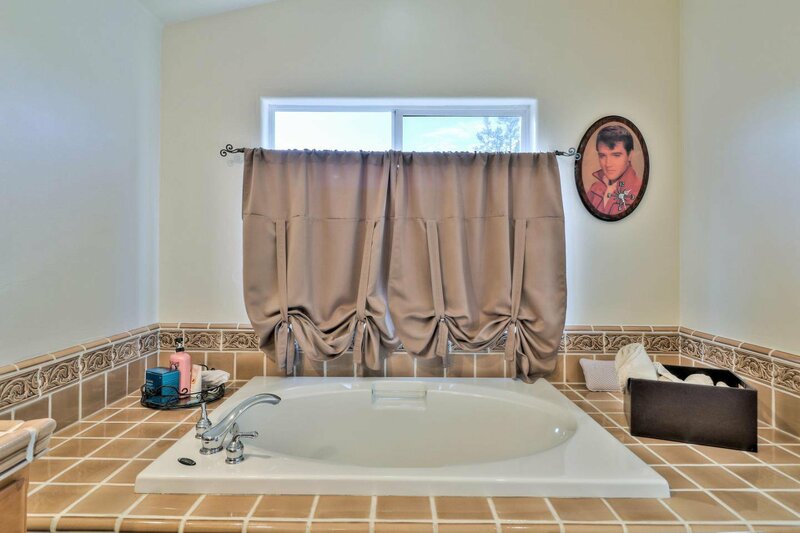 One bedroom and full bath downstairs, 4 bedrooms upstairs. 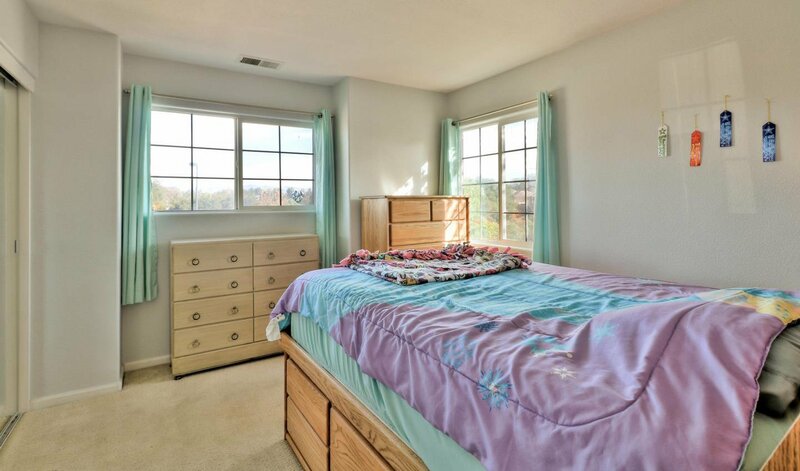 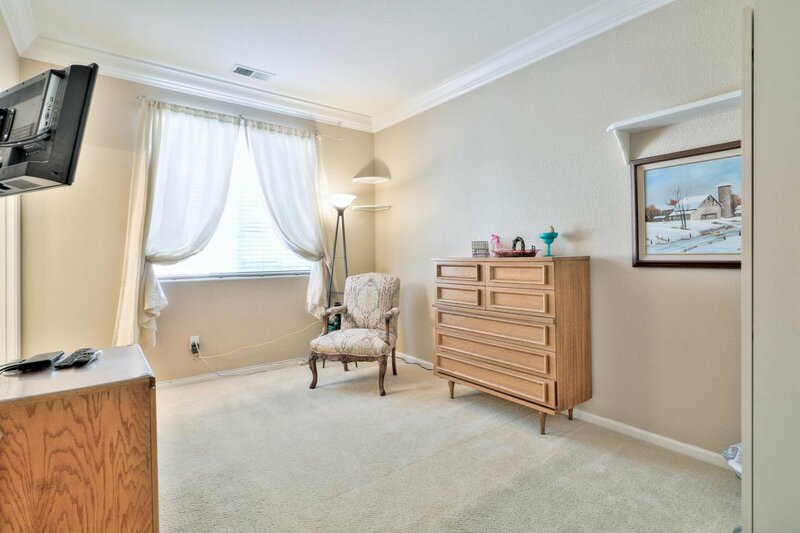 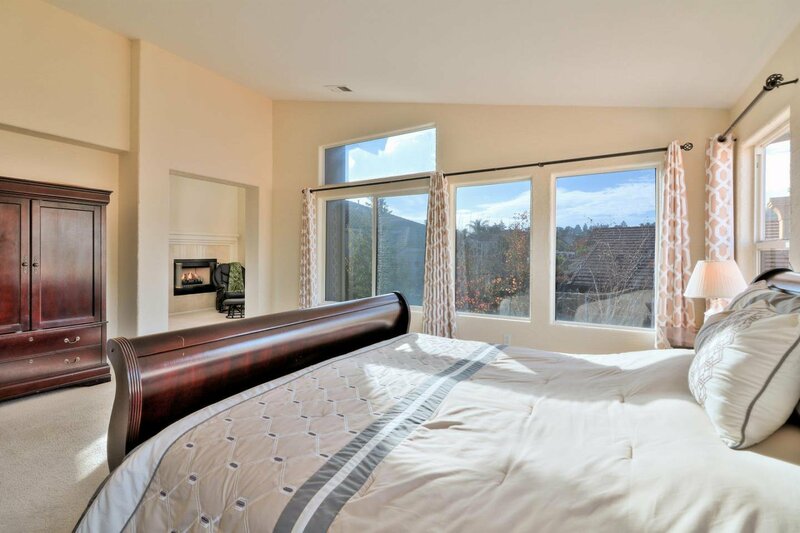 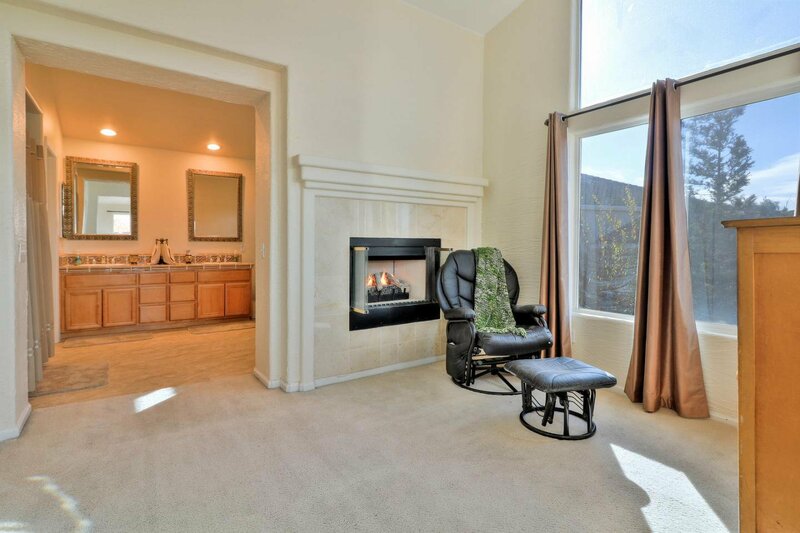 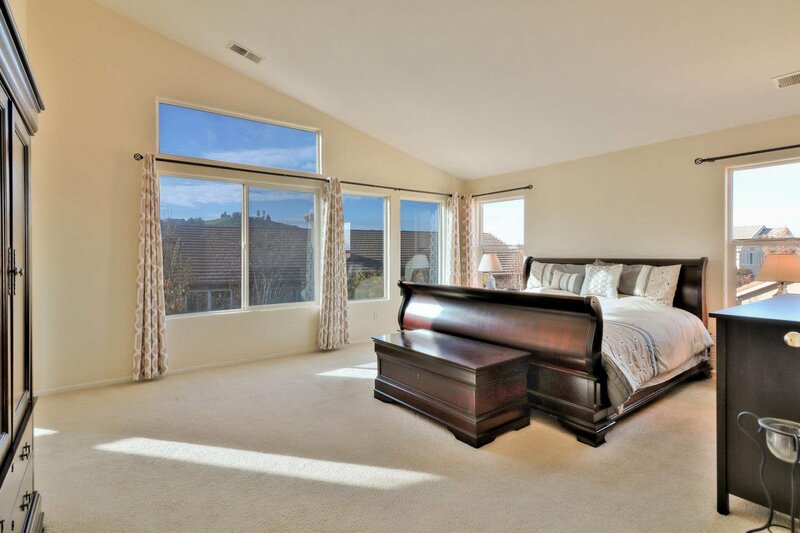 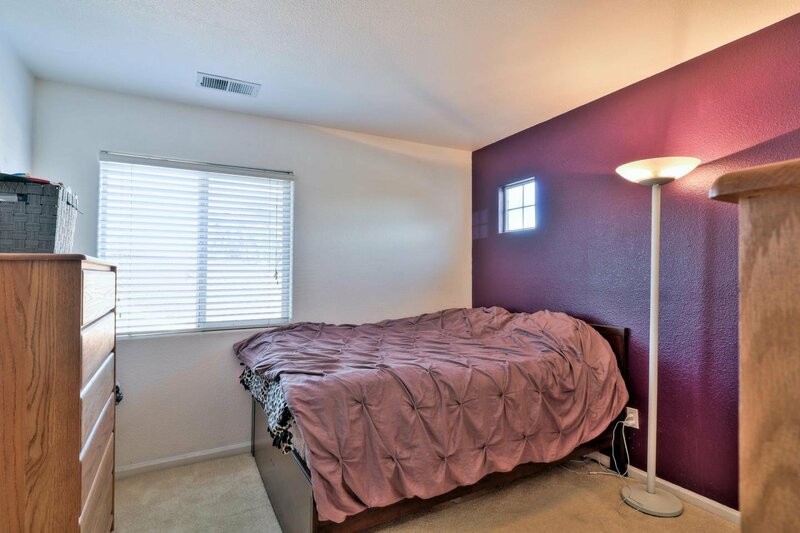 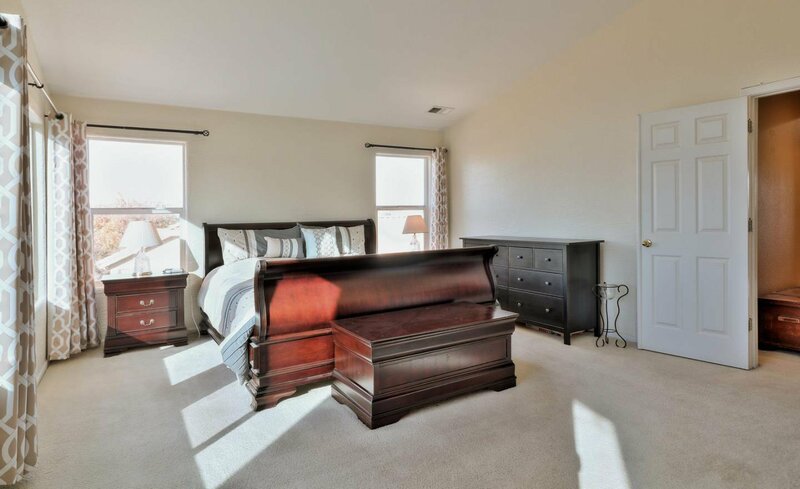 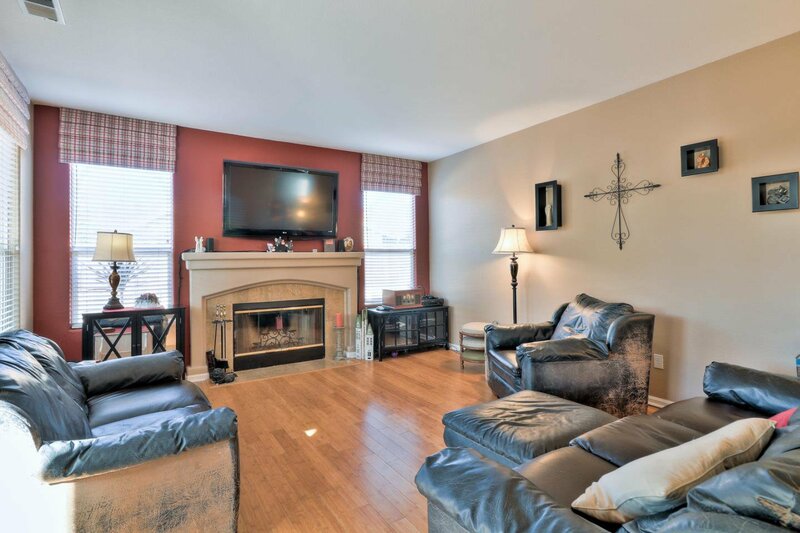 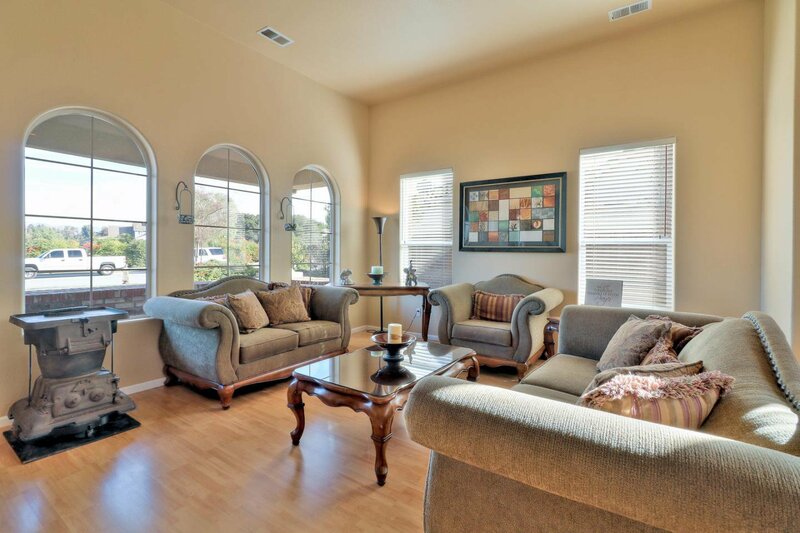 Master bedroom has its own retreat complete with a fireplace and sitting area. 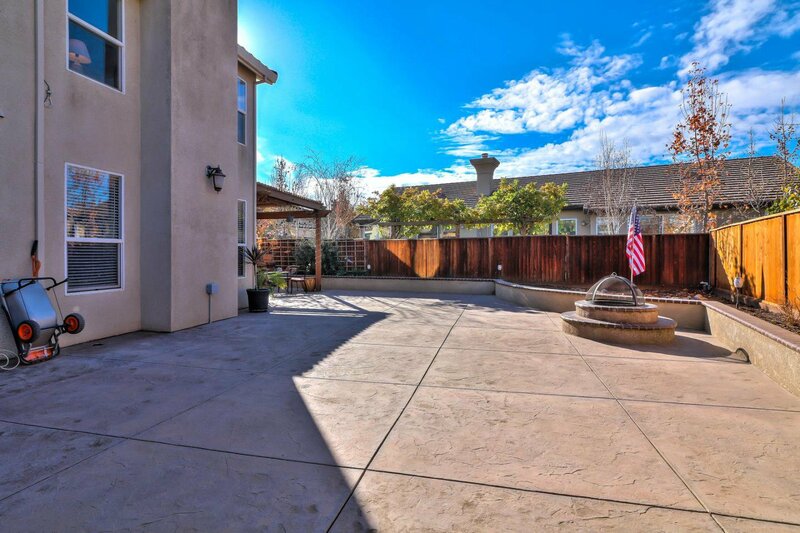 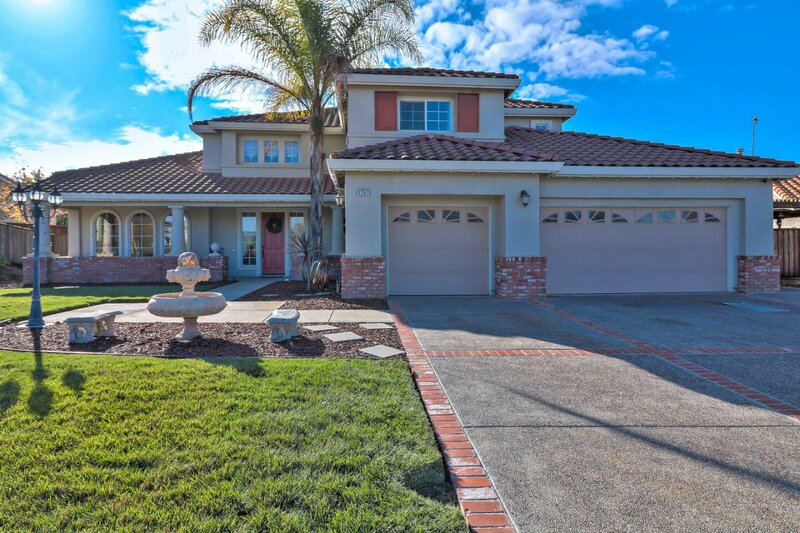 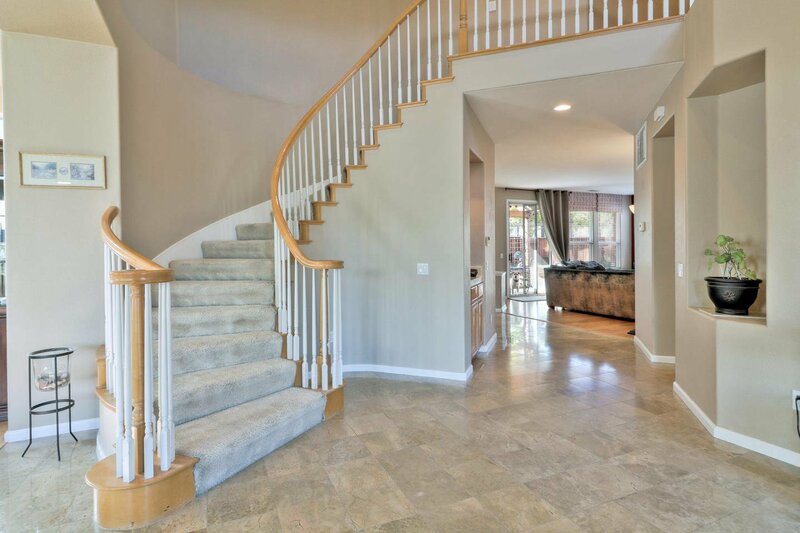 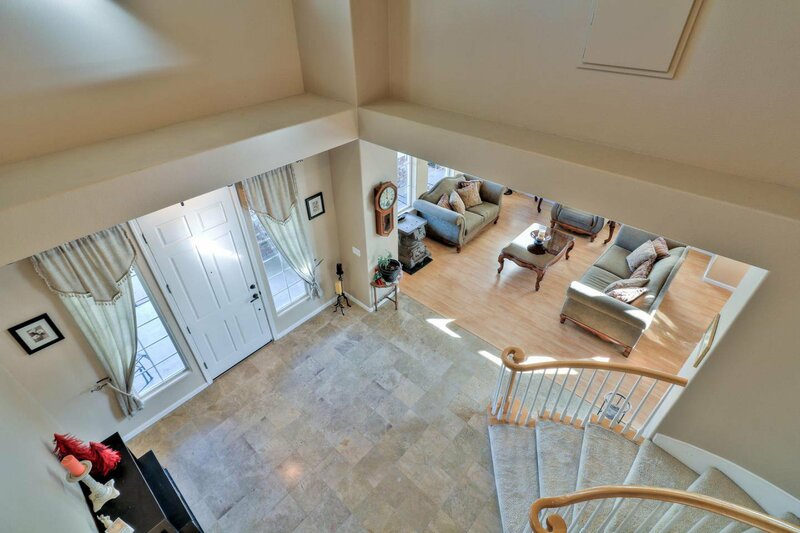 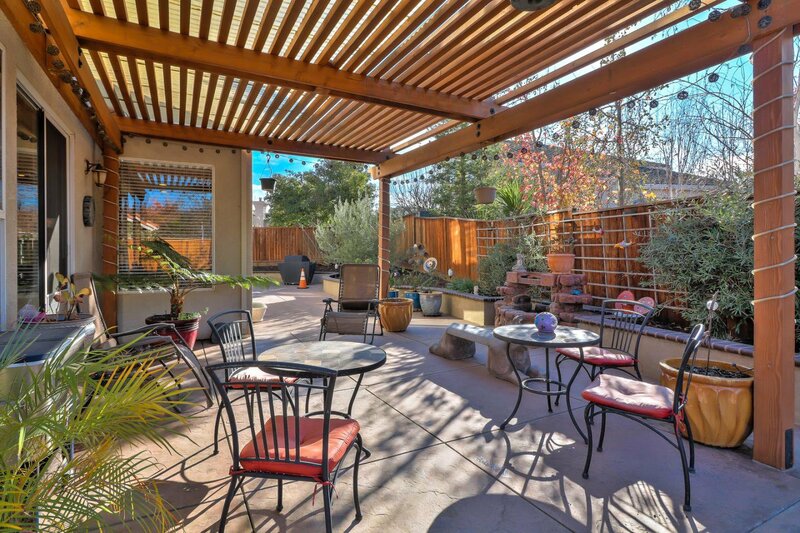 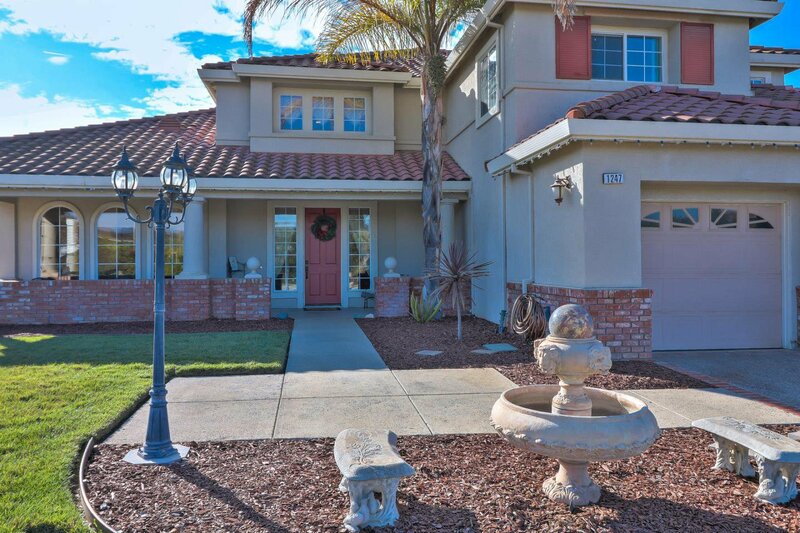 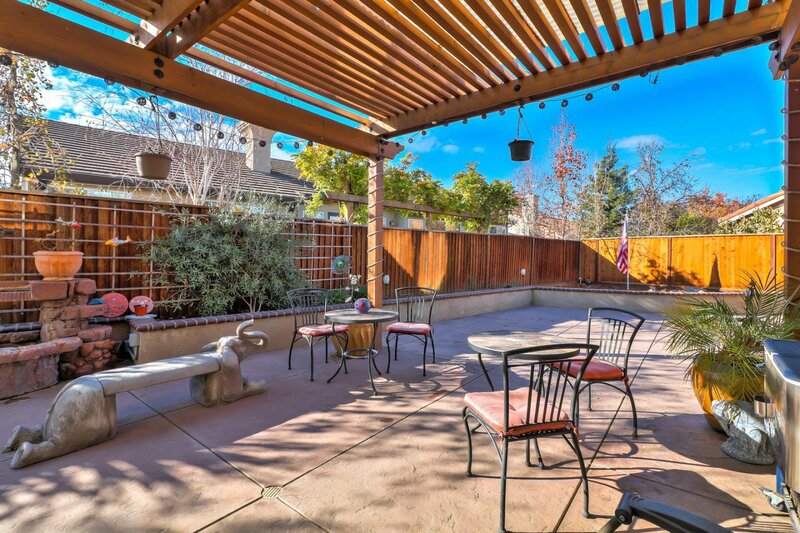 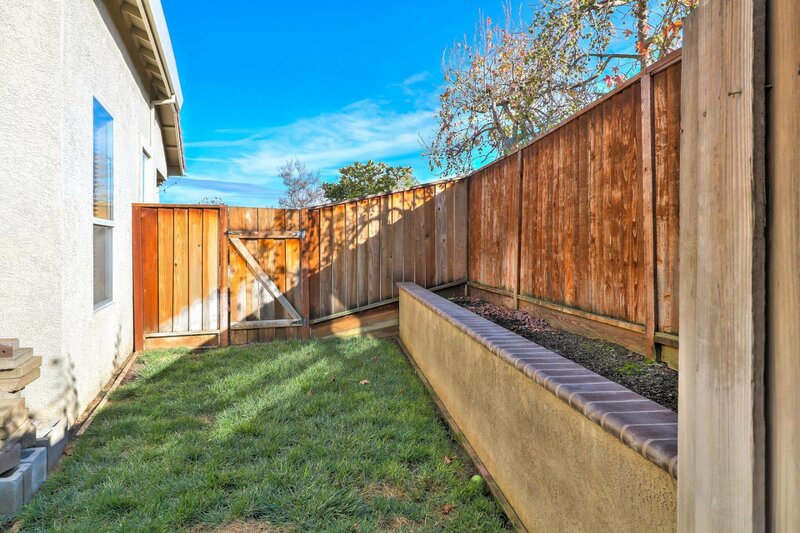 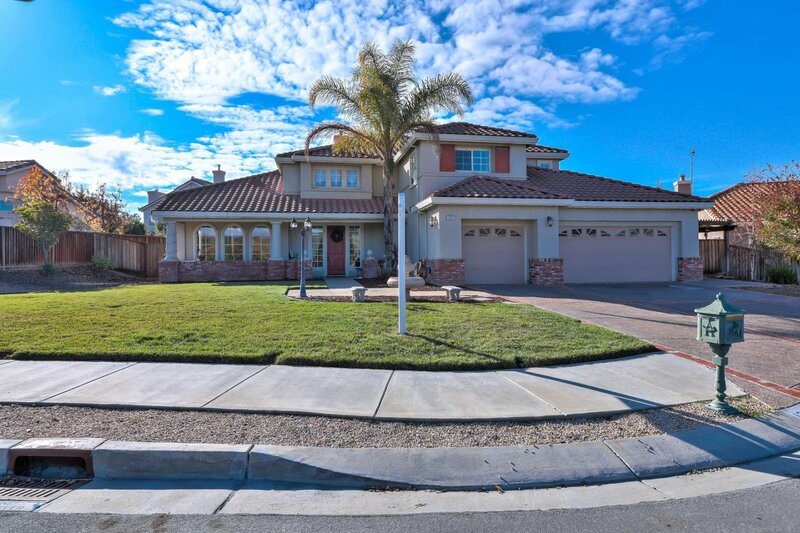 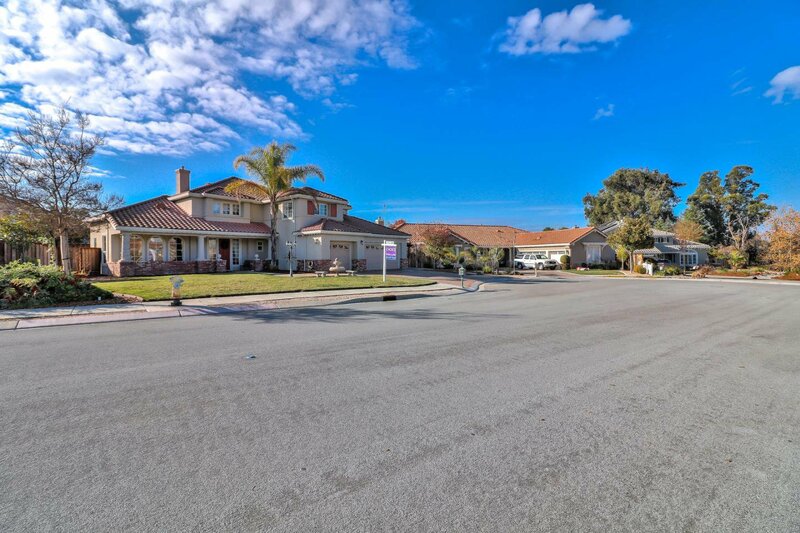 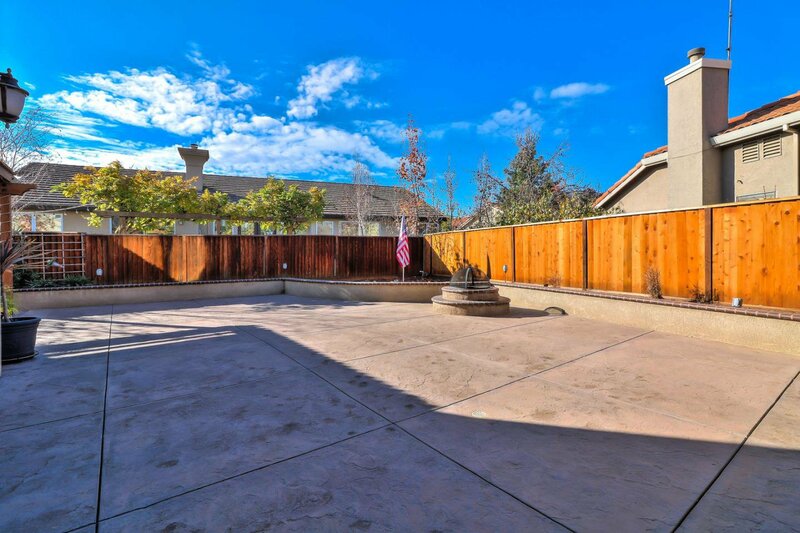 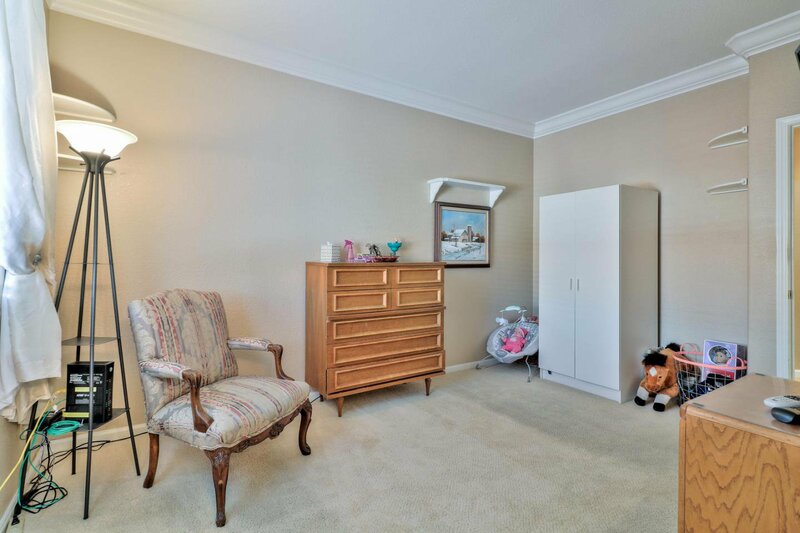 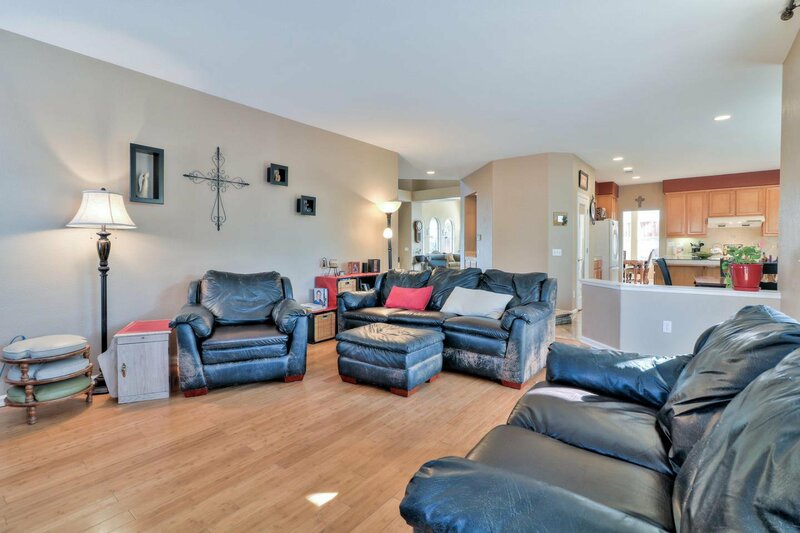 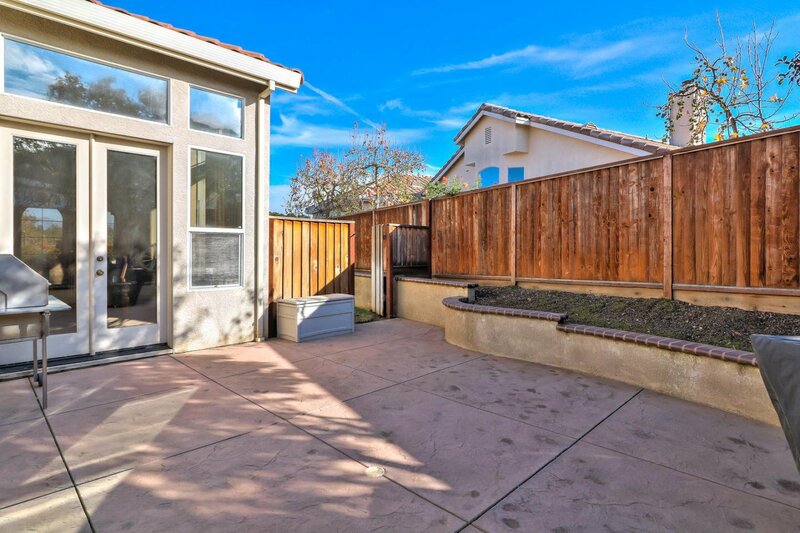 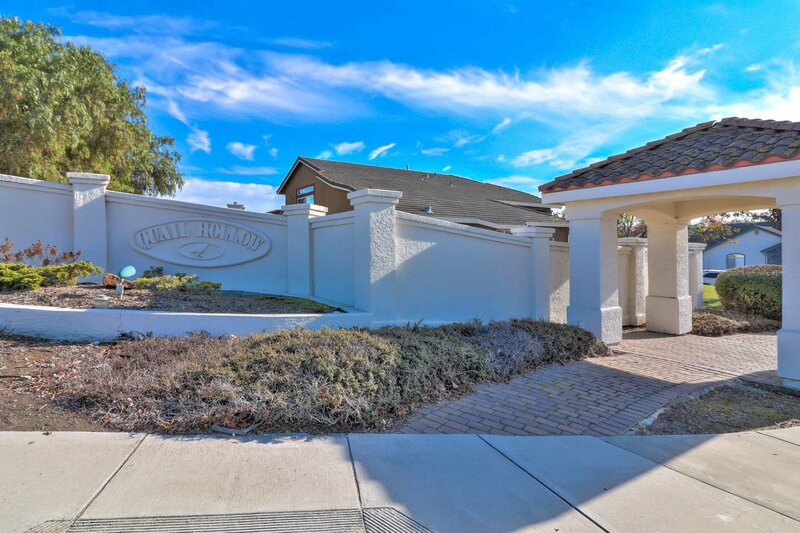 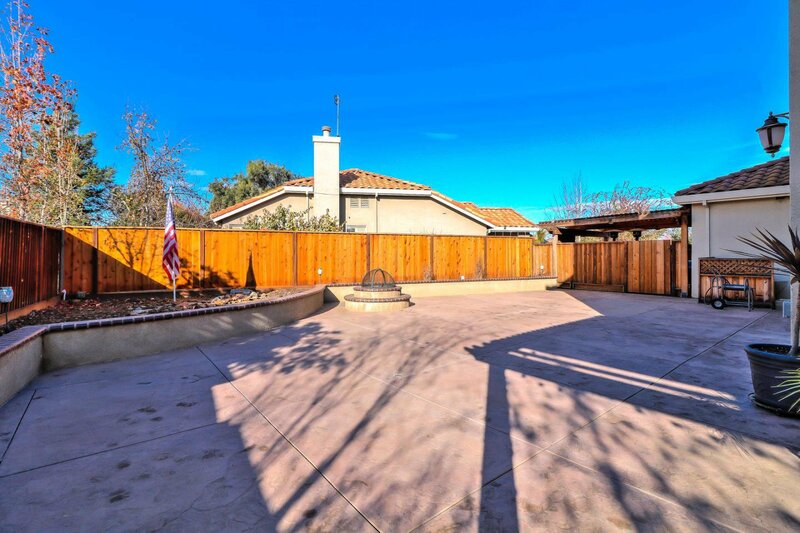 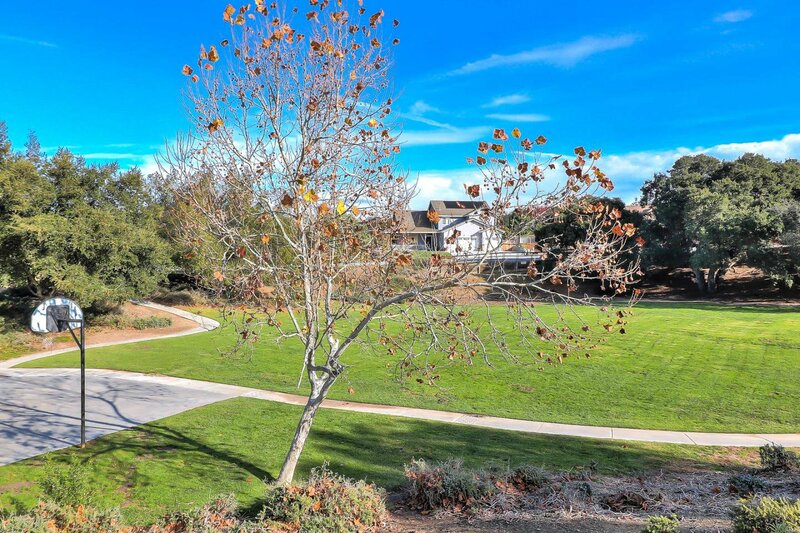 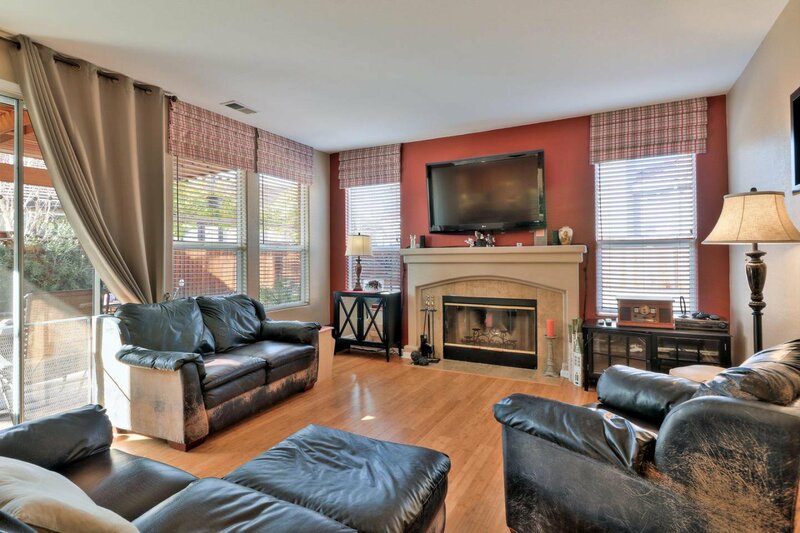 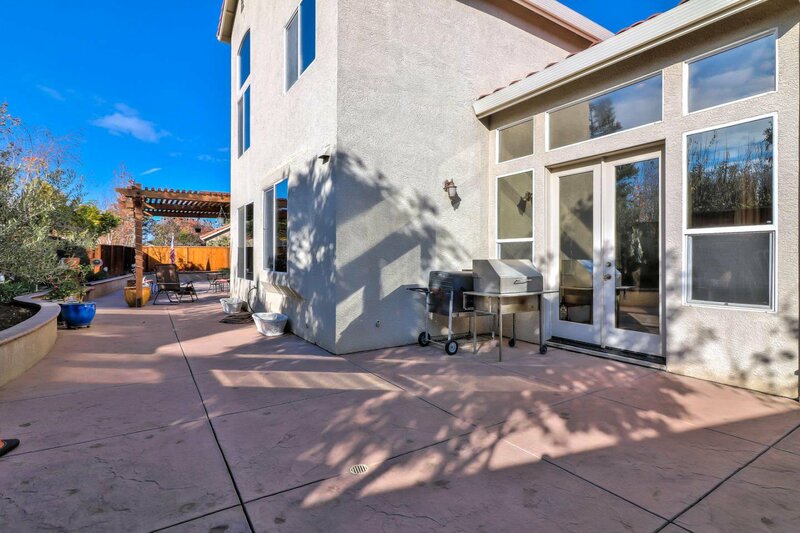 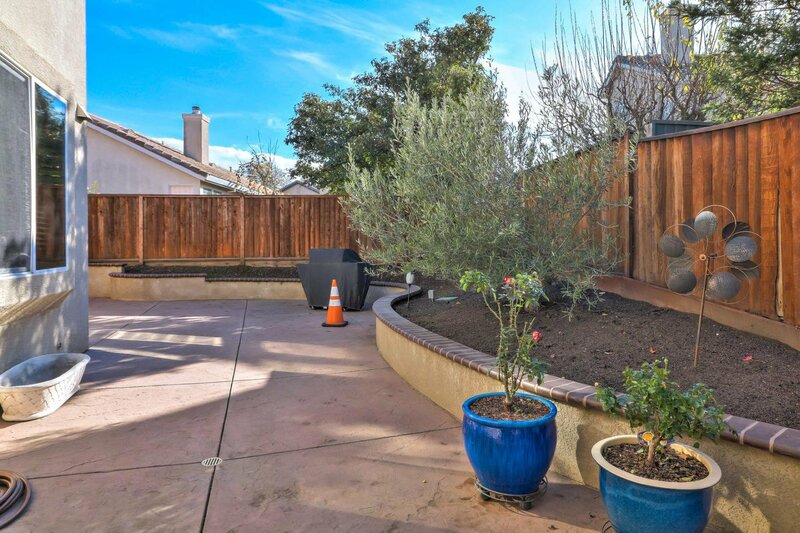 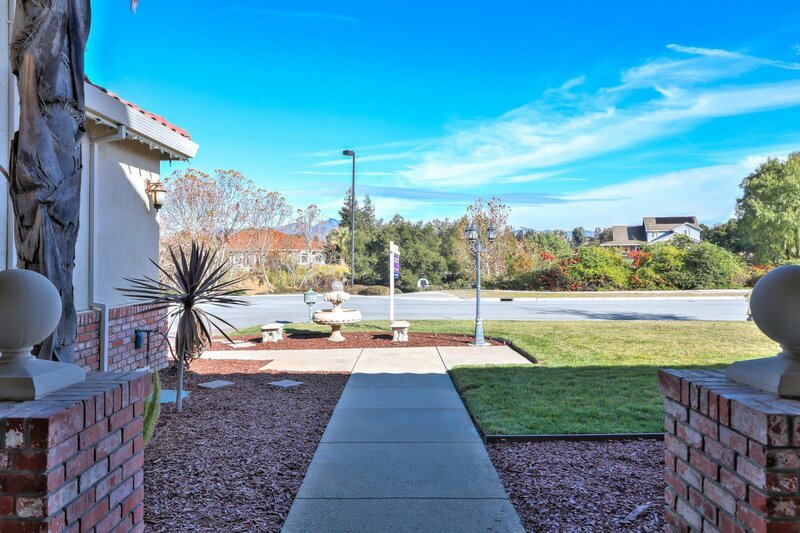 On almost a 10,000 sf lot, there's plenty of room in the backyard for BBQs and entertaining. 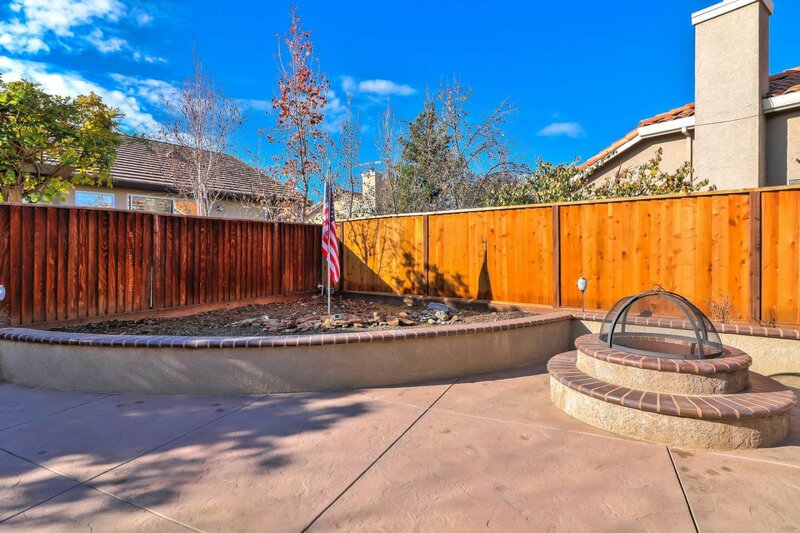 Cozy up to a built in firepit, or relax around the patio. 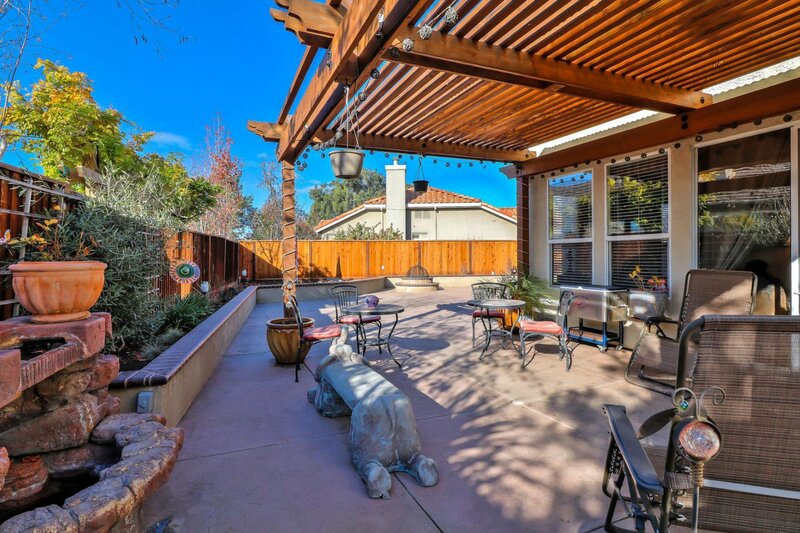 This is a California dream of a home built for easy outdoor living. 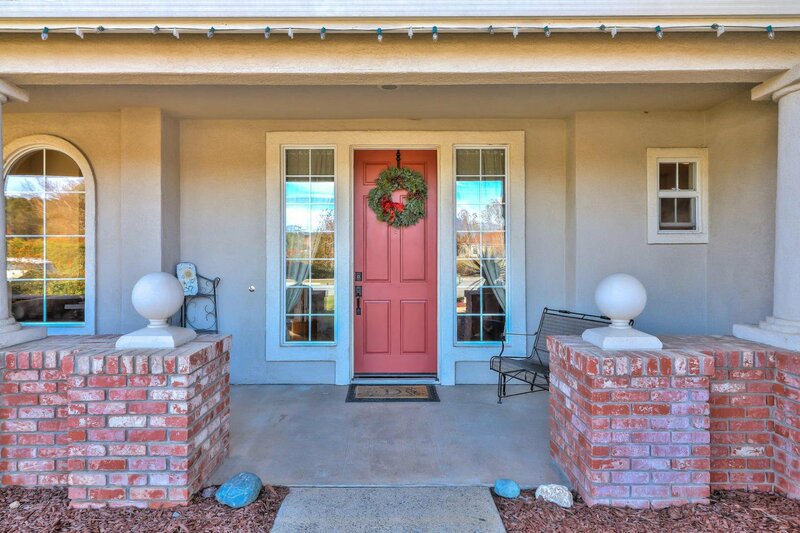 A must see on your property shopping tour!